I’m not sure if it was the scowl on her face or the glare in her eye that gave it away, but this 14-year-old-girl was definitely not happy. She went on and on and on about how her parents just didn’t understand, how life was so unfair, and how all of her friends were doing it. Knowing that she came from a good home, with good health, a great family and a lot of really nice things, made the empathy factor while listening to her story even harder. But as I listened to her gripe about her life, I was challenged, because often, the voice of that 14-year-old comes out in me, too. It might not be about petty house rules, but the attitude behind my griping can be just as harmful, if not recognized. 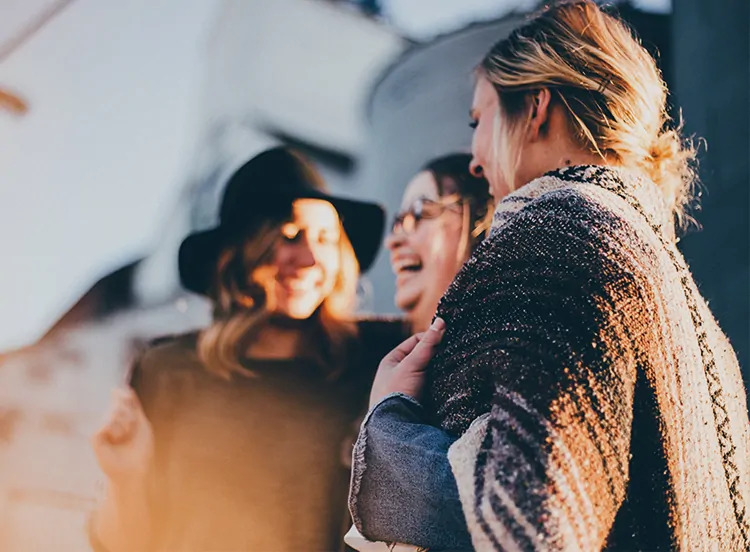 While it’s true that life comes with it’s up and downs, in my career as a professional counselor, I’ve observed a few things about happy people—people who are truly joyful even if their circumstances aren’t ideal. No matter what life may bring, there are a few things happy people don’t ever do. Looking at what others have is a recipe for disaster. Because no matter what, someone will always be smarter, better-looking, richer, more successful or better-liked than you. Living your life always looking out will prevent you from seeing what God is doing in your life. No matter what is going on in their lives, happy people don’t complain. They have a realistic awareness of hardships, but they never fixate on those things. They can be honest when they are struggling, but they don’t allow their mouths to utter words of negativity about the world around them, because they know that what comes out of their mouths is always a reflection of what is going on inside their hearts. Your mouth is a powerful instrument, so be sure to use it to speak good things. When the enemy tempts you to dwell on all that you don’t have, defeat him by praising God for all that He’s given. Happy people don’t live their life with others as their measuring stick. They don’t compete in an effort to get ahead or be the best, because their value is not rooted in how others are doing, but rather on what God says. Those who are in constant competition with others find themselves on an emotional roller-coaster, sometimes getting ahead, sometimes falling behind. Happy people root their value in Christ. And that is a value unchanging. Because of my “control-freak” tendencies, I have a prayer hanging above my sink that reads: “Lord, grant me the peace to accept the things I cannot change, the courage to change the things I can, and the wisdom to know the difference.” Happy people understand that some things in life cannot be controlled, and they learn to let go of those things. But here’s the thing about letting go: It only becomes a reality when we grasp the truth that the moment we let go, Someone greater takes control. It’s true that the people who put others down the most are the ones who are struggling the most within themselves. Happy people can easily find the good in others and can just as easily find it in themselves. Whether 14 or 104, it’s never too late to start transforming the way we think, the things we speak and the way we interact with the world around us. “Happiness” as the world defines it may not always be possible, but no matter where you are in life, you have the ability to choose joy.